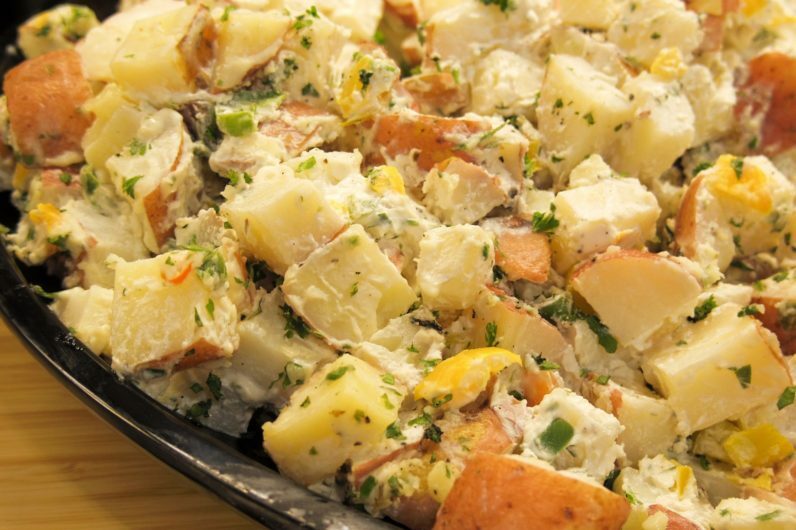 This light and delicious potato salad is perfect to bring to a summer BBQ, or a potluck dinner. Use red bliss, or heirloom potatoes for an even yummier salad and leave the skins on for extra nutrition. The tarragon gives it a very special flavor that will delight your taste buds. Boil potatoes until tender but not too soft. Drain and cool. In a large bowl, combine potatoes with remaining ingredients and stir to combine. Season with salt and pepper. Cover and refrigerate until cold. If salad becomes dry after a day or two, add a bit more mayo. ingredients except the oil. Turn the blender on and let everything mix together. With the motor running, start slowly pouring the oil through the opening in the lid of the blender. This will help emulsify the soup, giving you a light and creamy consistency. Season with salt and pepper. CHILL it for an hour before eating so the flavors meld and enjoy! When I first became vegan, I experimented “veganizing” all my favorite dishes I grew up with as a kid. My dad was an Italian chef, and he made the best sauces and pasta dishes and I missed them when I gave up eating meat. Although I don’t eat much pasta these days, I still love the comfort of a bowl of Gluten Free Rotelli with Bolognese sauce (vegan, of course.) Here is my take on this delicious sauce. And don’t forget to add my Cashew cheese for extra creamy goodness. In a large skillet, heat olive oil over medium heat. Saute garlic until lightly browned and translucent. Add red pepper flakes, caraway seeds and capers. Saute for another 2-3 minutes, stirring to prevent burning. Add tempeh and saute until lightly browned. Add Bragg’s to tempeh and stir to combine. Let cook for another minute. Add sundried tomatoes, oregano and tomato sauce. Stir to combine all ingredients. Turn heat to low and let simmer for about 10 -15 minutes. Add balsamic and maple syrup and cook for another 2 minutes. Season with salt and pepper to taste. 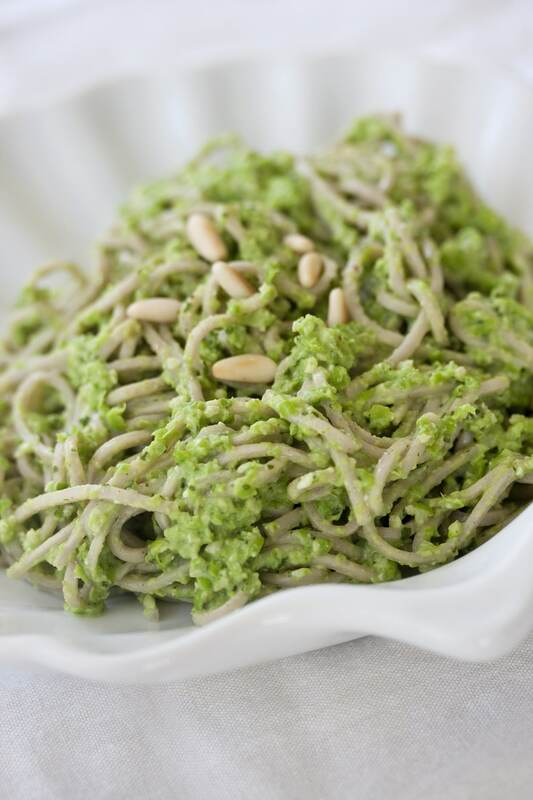 Serve over prepared Gluten Free Rotelli Pasta with a dollop of cashew cheese (recipe below.) Store remaining sauce in a tightly covered container in refrigerator for up to 5 days, or freeze. Place soaked cashews in a blender cup with just enough water to barely cover. Add remaining ingredients and blend until very smooth. This mixture should be fairly thick, so if it’s too thin, add some more cashews until desired consistency. Season with salt & pepper to taste. Will keep in refrigerator for up to 5 days in a tightly sealed container. DO NOT FREEZE! 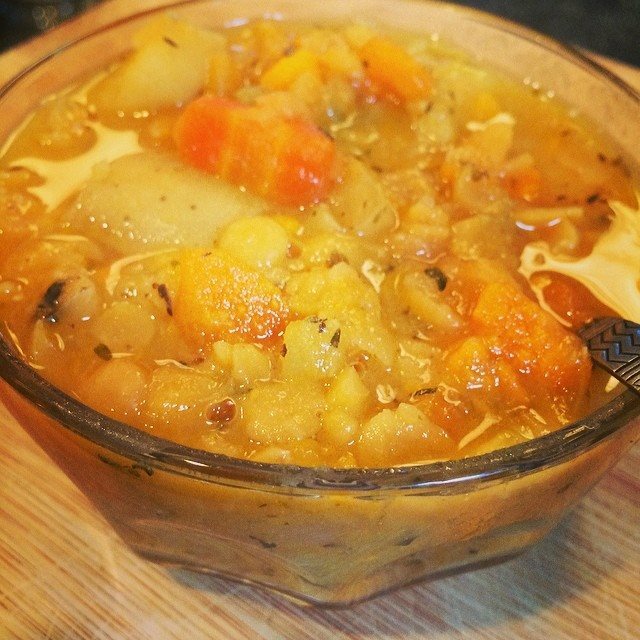 This variation of Split Pea soup is sure to delight you and warm you up on a chilly winter’s day. I use a combination of yams and Yukon gold potatoes to give it a little sweetness. It’s smoky and sweet and completely vegan! In a soup pot over medium heat, sizzle red pepper flakes for 30 seconds. Add onion and celery and saute until onion is soft and translucent. Add herbs and spices and stir to combine. Add carrots, yam, potatoes and split peas. Stir well to combine all ingredients. Add broth and stir together ingredients. Turn up heat to high and bring to a boil. Once boiling, cover pot and lower heat to a simmer. Cook for about 45 minutes to 1 hour or until split peas are soft, stirring occasionally. Add nutritional yeast and season with salt and pepper to taste. My dear friend, and incredible chef, Agi from Just a Pinch created this awesome recipe for my Karma Chow Ultimate Cookbook and it’s great for Meatless Monday. It’s loaded with flavor, fiber and nutrition! She brilliantly uses peas in place of basil for this pesto, with a touch of mint. The natural sweetness of the peas shines through and gives this dish a special salubrious sparkle. Cook noodles according to package directions and set aside. In the mean time, in a food processor bowl fitted with the s-blade, process the peas, garlic, pine nuts, mint leaves, salt and pepper and lime juice until combined. Remove lid to scrape down sides. With processor running, slowly pour the oil in the top until the mixture is all combined into a pesto consistency. Toss with noodles using tongs. Serve warm or cold. These meatless tacos using organic, fermented tempeh, are super simple to make, super delicious to eat and super nutritious too. I serve them up on lettuce leaves, for a lighter bite, but feel free to use traditional (organic) soft corn tortillas. In one word, they are SUPER! Heat 2 teaspoons of the oil in a large skillet over medium heat. Add the crumbled tempeh and sauté until lightly brown, stirring frequently. Meanwhile In a small bowl, whisk together the remaining oil, Worcestershire sauce, tomato paste, sesame seeds, vinegar, and syrup. Pour the sauce over the tempeh and let the mixture cook for about 3 to 4 minutes or until the sauce is absorbed into the tempeh. 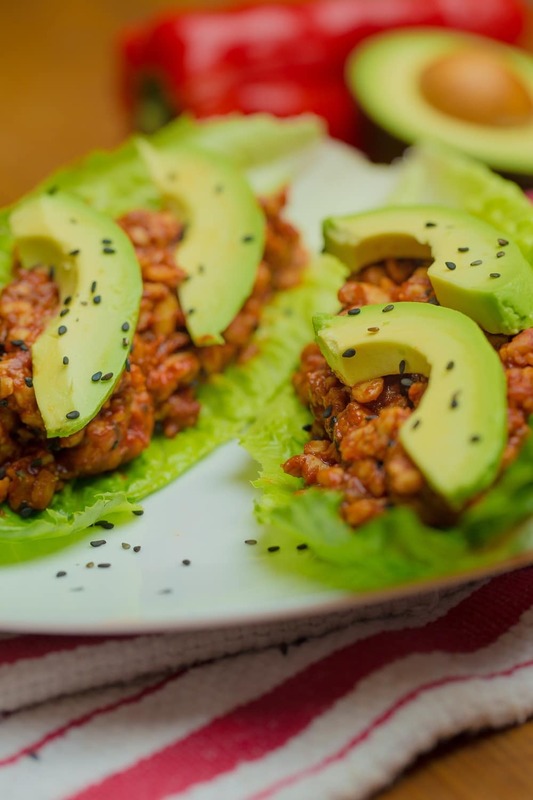 To assemble the tacos, place a spoonful of meat on a lettuce leaf and top with the avocado slices. This olive spread is delicious and made with a base of raw almonds. Peeling them can kind of stink, so after you’re done soaking them, drain and rinse, put on some tunes and pop em’ out of their skins. It’s a meditation of sorts…eh, not really, but it’s fun when one of the almonds goes flying across the room! Place all ingredients in a food processor fitted with the s-blade except olive oil, salt and pepper. Process ingredients while pouring olive oil in through the top, until ingredients become the consistency of a paste. Scrape sides of bowl as needed. Season with salt and pepper to taste. Serve with crackers or crusty bread. Baking gluten free is definitely not easy, but I think I finally came up with a good bread recipe that you will enjoy. 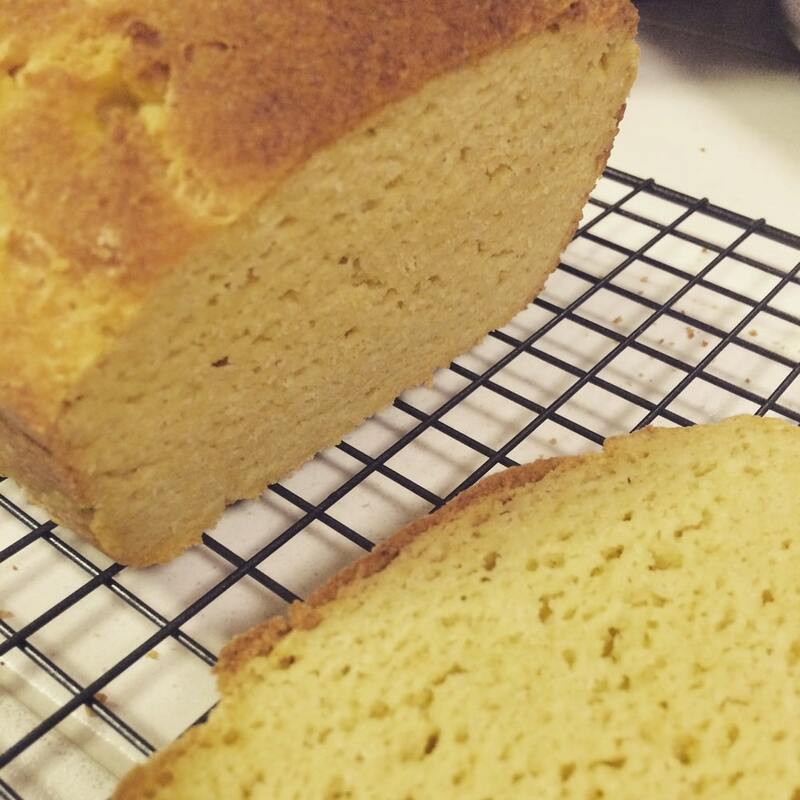 I was inspired by The Gluten Free Goddess’ bread and started to play around a little bit and came up with my own version. Enjoy this bread toasted and topped with Almond butter, or open-faced with my Chick Pea “Tuna” Salad. Preheat oven to 150 degrees. Sprinkle the yeast into one half-cup warm water and stir in the maple syrup. Set aside to let the yeast thicken and activate. In a large mixing bowl whisk together all the dry ingredients. Beat eggs together in a smaller bowl. 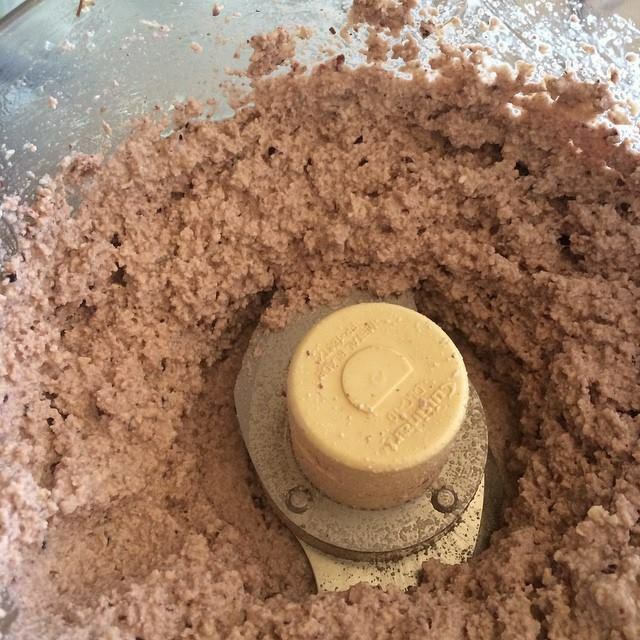 Make a well in the center and pour in the yeast. Add the olive oil and beaten eggs. Start beating it together. As you beat, add the 1/3 to 1/2 cup warm water a tablespoon at a time, until the batter is smooth, like a thick muffin batter. Scrape out the bread dough using a rubber spatula into the prepared baking pan and smooth out the top. Place the pan in the center of the warmed oven and allow the loaf to rest and rise for 50 minutes. Turn on the oven to 350 degrees F. Bake the loaf for 55 to 60 minutes, until crusty and browned. Remove from the pan and place the loaf on a wire rack to cool. 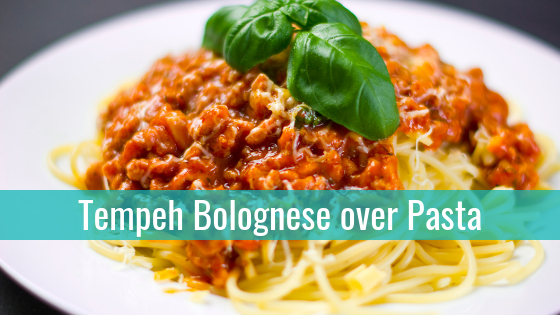 Pasta is so comforting in the colder months, and feeds our bodies natural need for complex carbohydrates. 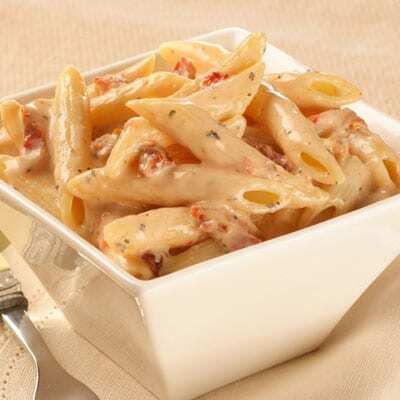 The savory sun-dried tomato cream sauce is totally dairy free and gluten free using raw cashews as the base. Nutritional yeast gives it a delectable cheesy flavor. Drain and rinse cashews. Place them in high-powered blender with water to cover them about 1/2″ over. Add remaining ingredients and blend until creamy smooth. If too thick, add more water little by little. Cook 8 oz pasta according to package directions. In the meantime, on a large skillet over medium heat, saute garlic until translucent. Add capers and sun-dried tomatoes. Saute for about 3 minutes or until slightly brown. Drain and rinse pasta and place back into pot. Pour in the sauteed garlic, capers and sun-dried tomatoes. Top with 1/2-1 cup of cashew cheese and heat over low heat until warm all the way through. Serve immediately and top with fresh herbs, if desired. 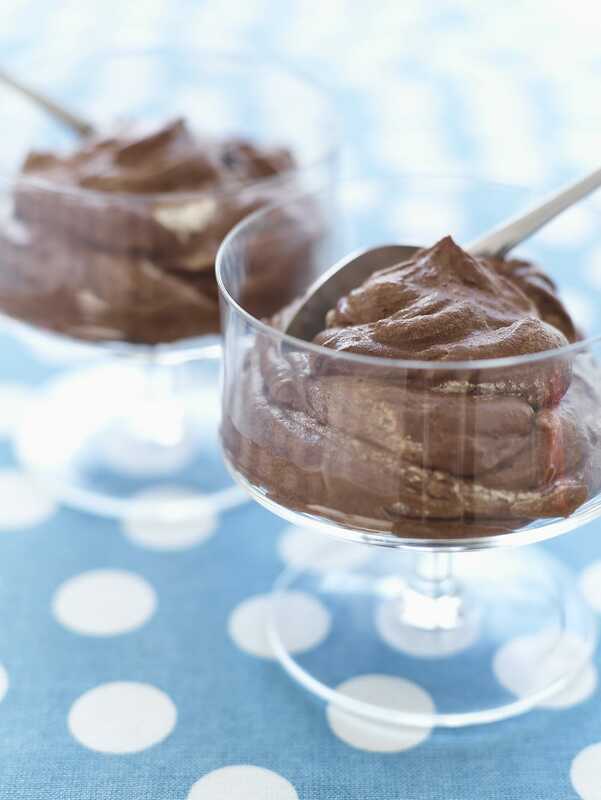 Who doesn’t love chocolate pudding??? I’m not sure, but if you know someone, they need to be re-schooled in the ways of chocolate, creamy decadence. This vegan version is loaded with healthy fats, tons of flavor and zero-guilt. Spoon into some cute little cups and top with raspberries or cherries for an extra delicious indulgence. 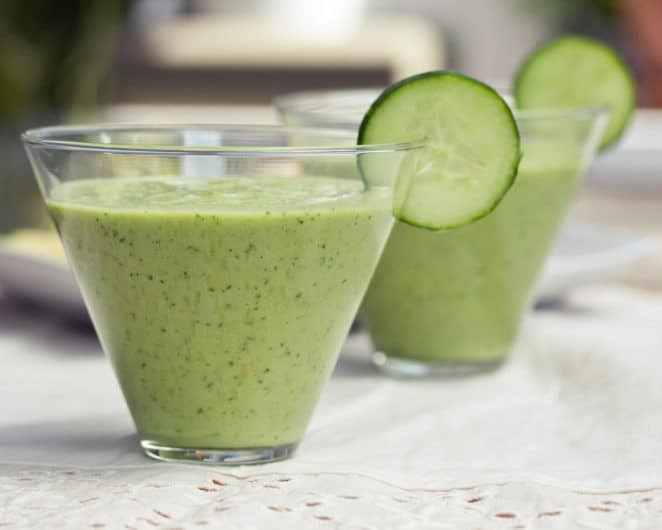 Add all ingredients to a high powered blender and blend until creamy smooth. If too thick, add more coconut water. Dish into dessert cups and store in the refrigerator.